Usually it can be cut to size for each 5 cm (2 inches). Please specify this factory before purchase . 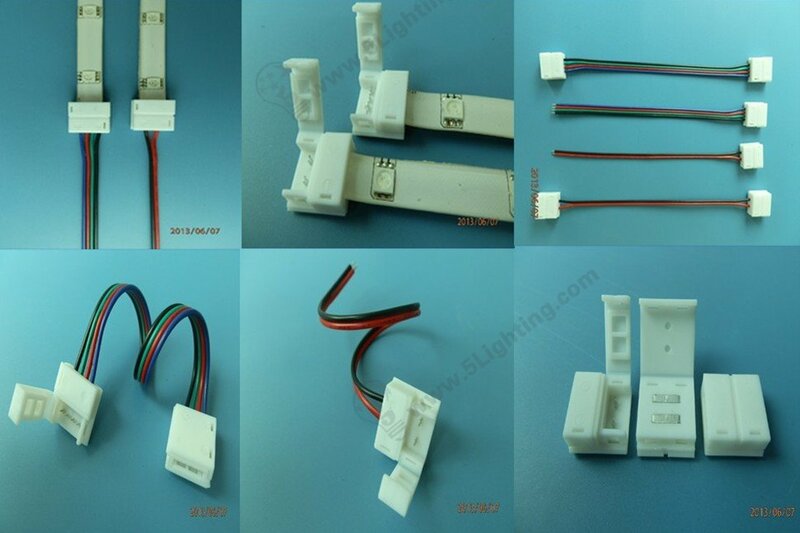 We’ll offer on RGB controller in blister box . 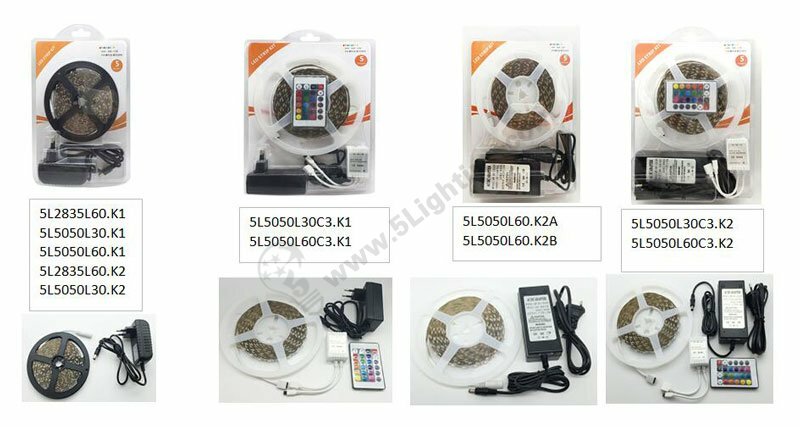 Above are some regular led tape lighting models and components we recommend, for customized voltage like IP 65 waterproof, 24 V , LED chip types , connecting cable length … Please email us for tailor made .